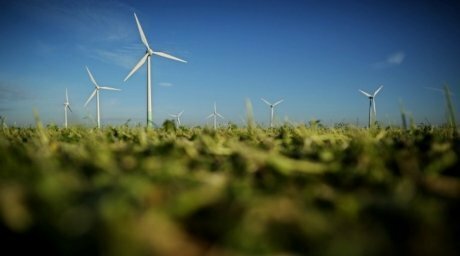 Kazakhstan Senate has approved the draft law On amendments to legislative acts to support use of renewable energy sources in the first reading, Tengrinews.kz reports. According to the statement of the Senate Commission on Nature Management and Development of Rural Territories, adoption of the draft law serves to assure investors that the invested funds will be returned and to clearly set the rates on the energy generated by renewable energy sources and to facilitate accumulation of experience in implementation of renewable energy project and their integration into the Kazakhstan’s existing energy network. However, some of the Senators doubt practicability of development of the alternative energy nowadays. “Aren’t we too early in our chase of the green economy?” PM Baktybai Chelpekov asked. Kazakhstan Minister of Environmental protection Nurlan Kapparov said that prices of energy generated by renewable energy sources will be decreasing gradually. “According to the Kyoto protocol, we have to lower greenhouse gas emissions by 15 percent by 2020 and by 20 percent by 2050. We will not be able to achieve these target numbers if we don’t introduce renewable energy sources. Secondly, coal and oil prices will be growing, while the prices of energy from renewable energy sources will be going down. The cost of solar panels went almost 85 percent down between 2000 and 2013. Experts believe that the price will continued decreasing by 10 percent every year and between 2020 and 2030 the solar energy will cost less than coal energy,” the Minister said. The Minister of Environmental Protection gave more details on the draft law during its discussion in the Majilis (lower chamber of the Kazakhstan Parliament). In particular, according to Nurlan Kapparov, the draft law introduces targeted support. “To boost use of renewable energy sources, the state is reimbursing 50% of the expenses of individuals not connected to electric networks for procurement of RES units of or below 5kW. This measure will mainly support the users living in remote villages and farms, which will help develop rural areas and provide access to electricity,” the Minister explained.